What does Judaism have to say about meditation? Is there such a thing in Judaism? Can we practice other forms of meditation? You’re listening to Jewish Latin Princess. 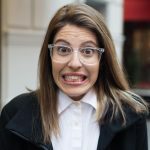 I’m Yael Trusch your host. Welcome back. My guest has all these answers and a lot more for us today. 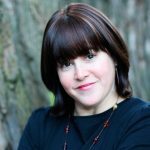 I have the pleasure to bring you Rus Devorah Wallen, LCSW and psychotherapist in private practice for over two decades. Rus Devorah instills a Torah approach to holistic healing and teaches meditation that has no trace of other religions. She’s the founder of Toratherapeutics and creator of Noga Sound Solutions. How did she get to where she is today and why did she formulate this approach to healing? How come she knows so much about the topic of Jewish meditation? Pay close attention to everything she has to say about meditation. And by the way, if you really want to learn how to mediatate, this episode might save you hundreds of dollars. What are three habits that Rus Devorah practices consistently and how did they help her in a trying medical situation? Here you go ladies, here’s the fabulous Rus Devorah Wallen. Download the Free Beginners Meditation here and the Breathing Contest here. You can also get Noga Sound Solutions here and here, along with some of Rus Devorah’s music. 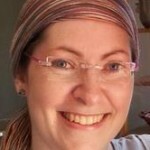 Find out more about Rus Devorah and her work at Toratherapeutics.com.